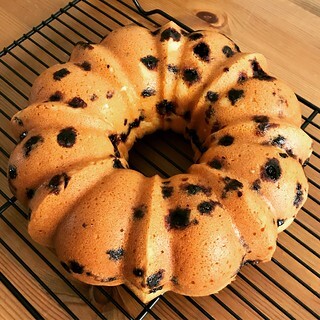 For Easter I baked a blueberry pound cake using my favorite cream cheese pound cake recipe. It was incredible. Fortunately for my already too large waistline I only ate one piece before giving the rest away at Easter dinner with friends and the next day at work. But that was the last day that I allowed myself such indulgences because my clean-ish diet started on Monday, April 2nd. I finished my original Whole30-ish experiment on October 30th of last year and things went downhill after that. (Honestly, I didn’t do too badly on Halloween with the chili cook-off at work, but that was the exception. I’ll admit I did have a piece of the pumpkin sheet cake that I made, though.) I wouldn’t recommend going on vacation right after ending a diet to anyone who wants to maintain their weight loss or other personal gains. And then came the holidays. So many seasonal temptations, and therefore excuses, for slipping back into old, terrible habits. Celebrating holidays with food is such a powerful tradition. Our Christmas dinner consisted of turkey and all the trimmings, plus my mom’s insanely delicious chocolate cake. She also made her famous peanut butter bars which are nearly impossible to stop eating once you’ve started. And that’s just the tip of the iceberg. The first part of 2018 was tough. I got the flu, had to cancel my vacation, and really suffered mentally and physically after that. In order to maintain some semblance of pleasure I allowed myself to eat whatever I wanted during this time. There were very few fruits or vegetables on my plate in those days. And then the influx of Easter candy in the stores was more than my last bit of willpower could possibly handle. I wasn’t in a good state of mind for a while. Fortunately things started to look up in February. After I started exercising regularly again with my running buddy, which had such a healing effect in every aspect of my life, I knew I needed to make a positive change in my eating habits as well. No more burritos after boot camp class! So I took my inspiration from my Whole30 experience last year and overhauled all of my meal and snacks. I started bringing homemade lunches to work, stocked my kitchen with only healthy snacks, and found the best nearby restaurants to get take-out salads. Today is day 14 of my diet and I feel fantastic. I’ve had few minor cheats, and a couple of intentional ones (specifically, when I need more carbs for running), but for the most part I have stuck to my plan. I’m calling it a clean-ish diet because I’m eating a wider variety of foods than Whole30 allows (like cheese and beans), while still keeping my focus on meat, fruit, and vegetables. And after two weeks I’m starting to see some real results. I wish I’d made this change sooner!